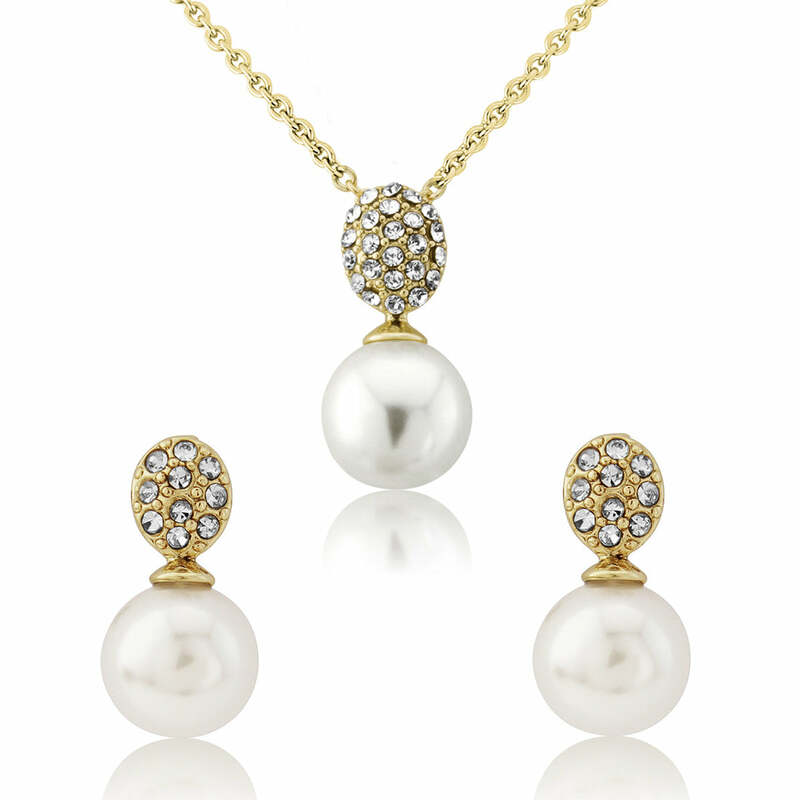 The epitome of Grace Kelly elegance, Romance in Gold Jewellery Set comprises a dainty pearl and crystal pendant and earrings perfect for brides or special occasions. 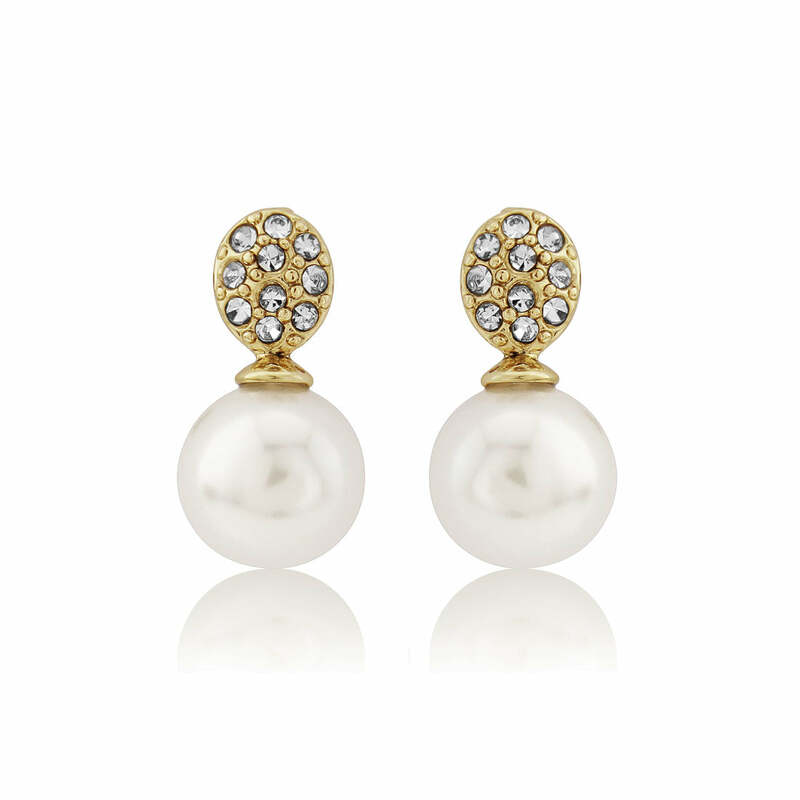 Dainty antique gold pearl jewellery set oozing the chic elegance of the Grace Kelly era, Glamour of Gold is full of vintage charm and 1950s glamour. 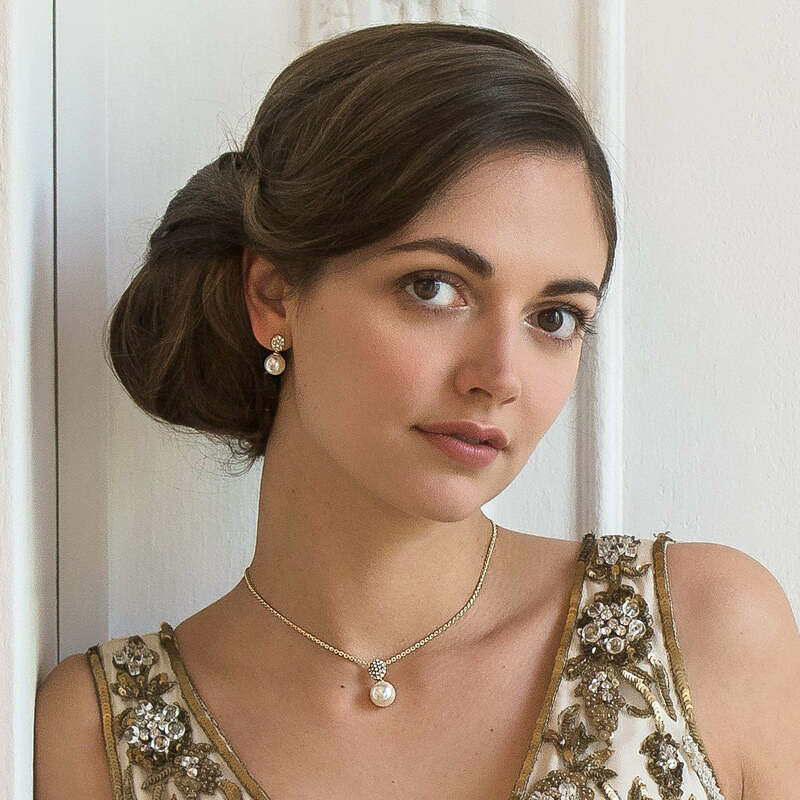 For brides who adore subtle bridal jewellery this delicate gold pearl set featuring a pretty drop pendant and coordinating earrings is perfect to enhance wedding gowns of every style. Team with an antique lace gown or add a touch of elegant sparkle to a 50s tea length dress. 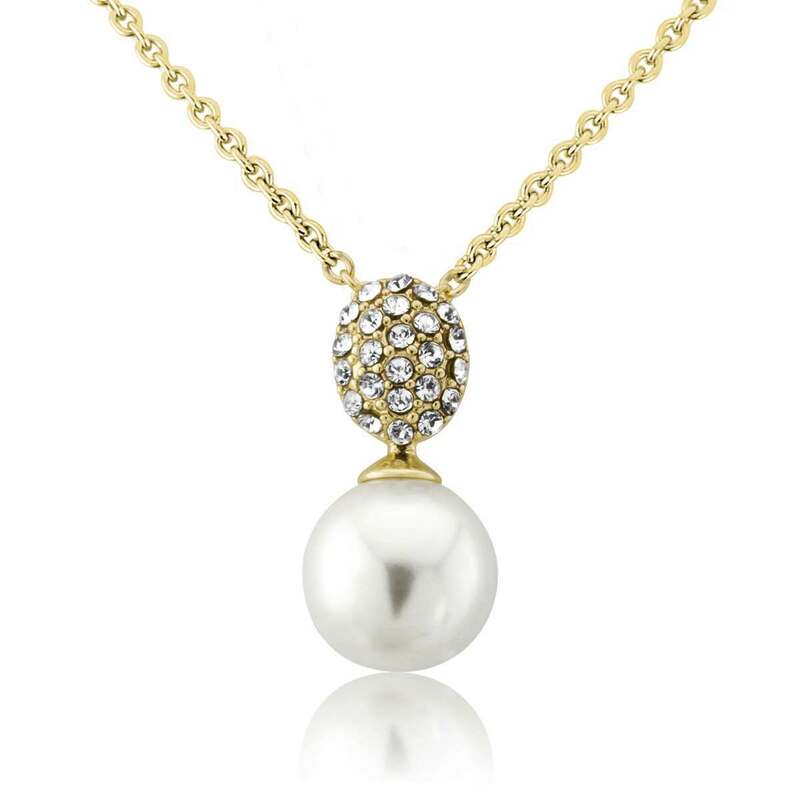 A divine bridesmaids gift which your girls can wear on your special day and beyond. Suitable for every occasion from lunch with the girls to a glamorous evening event, Glamour of Gold will add a touch of classic shimmer.